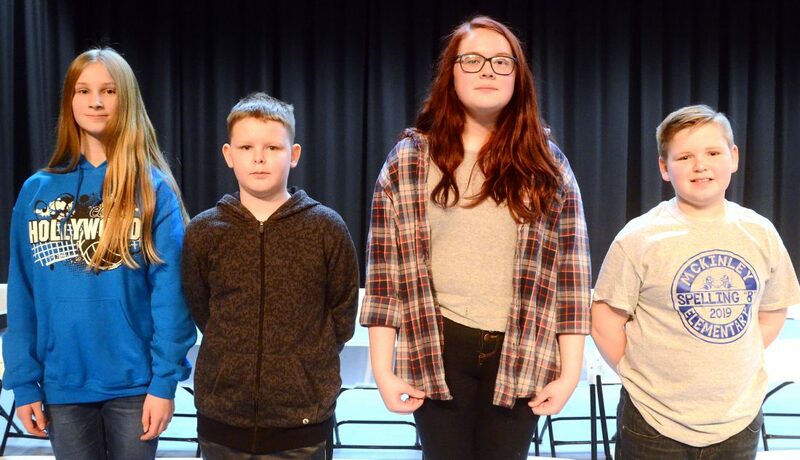 The top finishers in the 2019 Lisbon spelling bee: from left, champion Katie Hawthorne, second place finisher Deven Cornman, third place finisher Reese Carpenter and alternate Paxson Henthorne. After Hawthorne secured the champonship correctly spelling “postmortem” in round nine and Deven Cornman had captured the second place spot, four spellers who all went down in the same round took the stage again to determine who would get third place and who would be the school’s alternate speller at the county spelling bee March 6. Carpenter took third place an Henthorne is the alternate. Evie McKnight and Cole Beers also were in the spell-off.